I have very fond memories of growing up visiting my grandmother and eating warm tomato soup with grilled cheese. I don’t think anything will ever beat this delicious combination. Over the years I’ve tried to recreate this childhood meal, only to be left disappointed. I’m convinced that her secret ingredient was love (or maybe lots of butter…). Anyway that brings me to the current recipe. 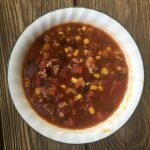 I am a sucker for a cup of warm tomato soup, but I wanted to make it a bit healthier than the usual canned version. I also wanted to try to make it a complete meal, meaning it had to have some protein in it. 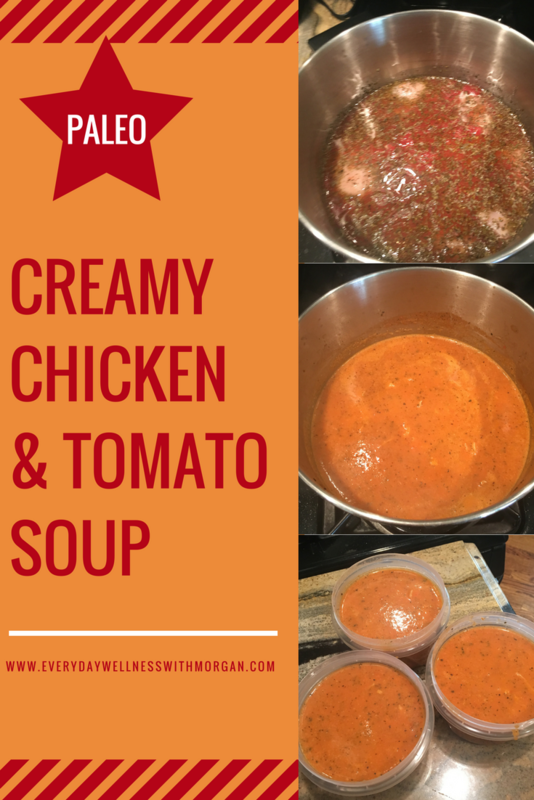 So that’s when I came up with the idea for this paleo Creamy Chicken and Tomato Soup recipe! This recipe does require blending. I highly recommend an immersion blender just because it’s so much easier. I actually have a really cheap one (less than 20 bucks!) that I got off of Amazon here. If you don’t have an immersion blender, you will just need to pour small batches of the soup into your regular blender to blend them. It’s not the end of the world, it just takes a bit longer. For the canned tomatoes, feel free to use your favorite brand. I typically use Hunt’s, and they have so many different varieties. For these pictures, I used their diced tomatoes with green pepper, celery, and onion. But I bet fire roasted would be delicious as well! So definitely get creative! Okay now let’s get on to the recipe. Grab a pot and place it on the stove. 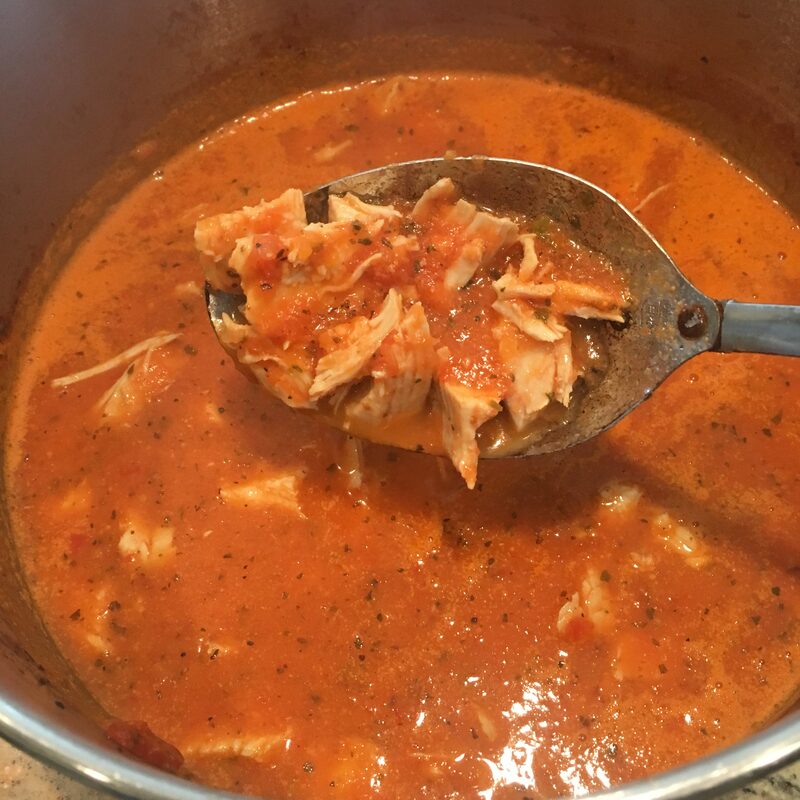 Add your tomatoes, olive oil, chicken broth, and spices to the pot (do not add the coconut milk yet) and stir. Then place your chicken in the pot and make sure they are mostly covered. Cover and cook over medium heat for 25 minutes, stirring occasionally. 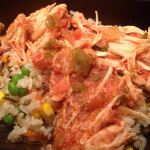 Remove the chicken from the pot and cut it into small, bite-sized pieces. 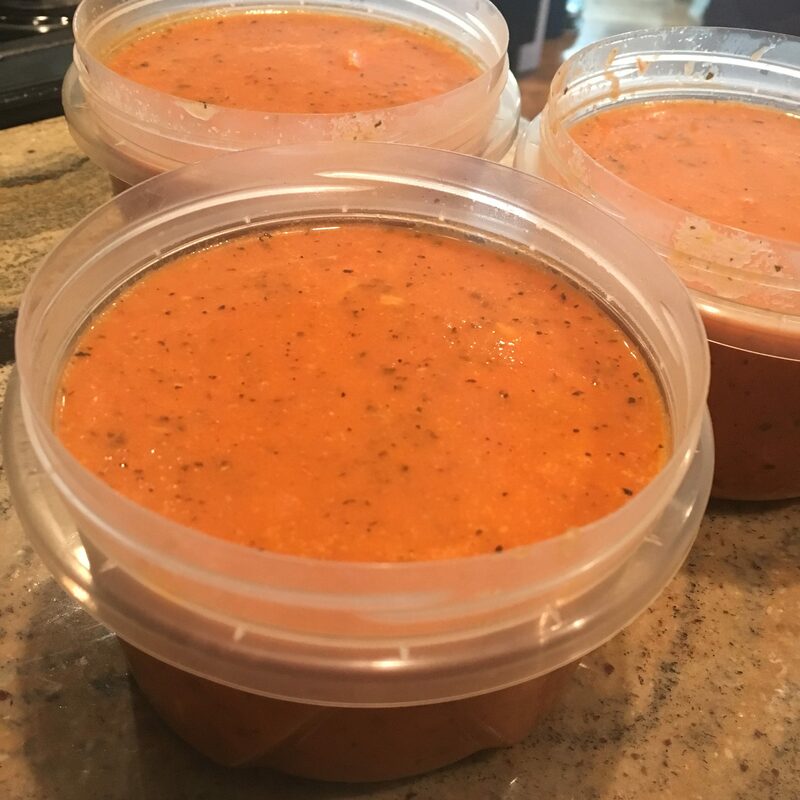 Using your immersion blender, blend the tomato soup until creamy and there are no more chunks. Pour the coconut milk into the soup and add the chopped chicken. Stir together and then cook for another 5 minutes over medium heat. 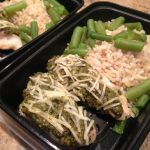 Serve immediately or store in the fridge up to 5 days. This is the perfect kid friendly (or picky husband!) recipe. It is creamy, delicious, and filling. I will definitely be making this again this winter! 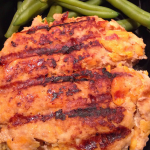 If you are following a paleo diet, check out my paleo sweet potato and ground turkey skillet recipe and my chicken, green bean, and sweet potato bowl recipe for a non-soup option!